Black calf. 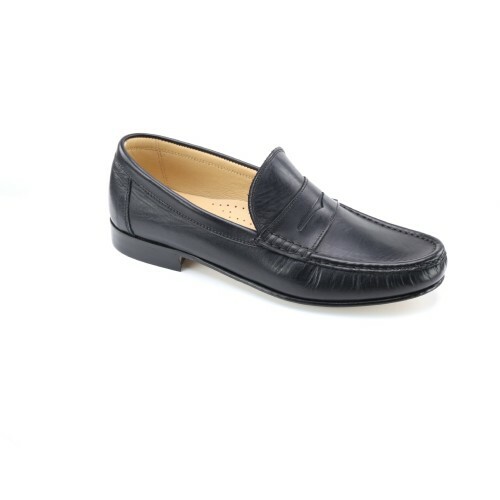 A perfect summer / holiday / loafing shoe. Comfortable soft calf.